Recent media coverage of the familicide that Alan Hawe committed in 2016, killing his wife, Clodagh, and their three sons, Liam, Niall, and Ryan presents important opportunities. We might hope the disturbing disclosures of Clodagh’s mother, Mary Coll, and sister Jacqueline Connolly reference horrors that will never happen again. Unfortunately, husbands axing and knifing to death their wives and children is not new. At the US National Domestic Violence Fatality Review Initiative (NDVFRI), our team provides technical assistance to the now 45 US states that review fatalities. Review teams date from the mid-1990s. They formed out of the white heat of public outcry over intimate partner homicides, the tumult of second wave feminism, women’s increasing involvement in higher education and paid employment, the easing of restrictions regarding divorce, and women’s growing control over their reproductive health. Significantly, reviews would not have got off the ground without the substantial funding associated with the 1994 Violence Against Women Act and the funding it provided. The NDVFRI learned from reviews in the commercial aviation sector. There, reviewers tackle well-acknowledged problems of pilot error, including the domineering attitude of some captains and their failure to listen to others such as junior pilots. Aviation reviews involve a diverse group of people. The result, a consistent lowering of crash deaths per mile flown. In the US, barely a few hundred people lose their lives in commercial plane crashes each year. Compare these numbers with the annual quarter of a million deaths due to preventable medical error. Fatality reviews in medicine are much less thorough than those in commercial aviation, a fact linked to concerns about liability, as well as to the fact that offending medical practitioners go home after a preventable death, unlike pilots who go down with their planes. Domestic violence fatality reviews (homicide reviews in the UK) are not investigations or inquiries. They are community post-mortems that seek to understand cases in a confidential setting. There is no attempt to blame and shame agencies or stakeholders, a negative practice that deters participation, closes off discussion, increases defensiveness and reduces the opportunities to develop preventive interventions. Reviews improve communication, collaboration and co-ordination. Good reviews generate diverse case information, insights and interpretations. Reviewers may not agree on the “root cause(s)” of a killing. Some may prioritise the “evil behaviour” of perpetrators. Mental health professionals might emphasise the importance of “clinical depression” or “psychotic breaks”. Others attribute the deaths to “toxic masculinity” or the “patriarchal order”. Still others suggest that we might be dealing with the haunting presence of the inexplicable. More than fact-finding or fancy theorising about “root causes”, cultivating a climate that tolerates and celebrates differences in perspective, insight, interpretation and opinion is crucial. Domestic violence is a community problem, a political, economic, cultural and social problem. It is not a problem for the police alone, or the courts, prosecutors, victim advocates, priests, school teachers, doctors or nurses alone. Rather, teams involve these individual experts and transform them into an expert review team. Ideally, we break down territorialism and defensiveness and learn from each other. We also recognise that some of this defensive behaviour stems from legal concerns about protecting confidential information. It is also associated with the way that workers are organised by bureaucracies and various political imperatives. Often, the state has important information. Some (e.g. medical, employment, counsellor-client) may be confidential, a fact sometimes not known to family members or professional peers. Some information is sacrosanct. If a murdered woman stayed in a refuge, review teams are not automatically entitled to that information. 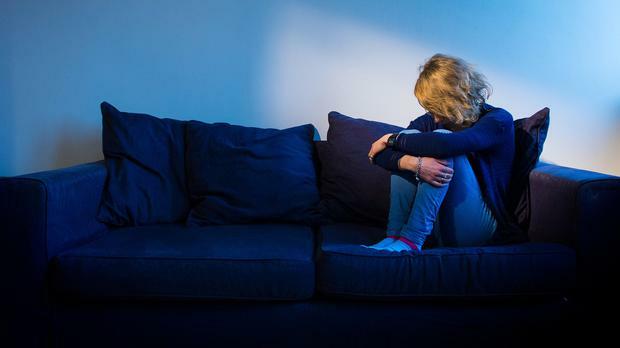 Refuges and domestic violence programmes have to protect women’s confidentiality. Likewise, some people talk with counsellors only because what they share is confidential. In the US, surviving family members who give testimony to teams do not have an automatic right to learn from the team whether, for example, their loved one was HIV positive, or used crack cocaine. Notwithstanding these limits, family members have important information to offer teams. US teams increasingly hear from family, friends, neighbours, co-workers and, indeed, surviving perpetrators. These so-called ‘collateral interviews’ provide rich insight and, at times, vital outlets for interviewees who lost loved ones. We never promise such interviewees closure. Rather, we suggest some family members have benefited from telling their stories. Given the number of killings of women in Ireland over the past few decades, perhaps the time has come to set up formal fatality reviews. Complicated cases call for strong intervention. Domestic violence cases are not like street robberies or burglaries. Intimate terrorism, coercive control, call it what you will, unfolds over time. The deaths are crimes of accumulation. The secret hearts of offenders, the seemingly counter-intuitive behaviour of victims, the hidden information, all require our best and most detailed consideration. As I watched the television coverage of the five hearses carrying away the Hawe family members, I was struck by the eloquent language and dignified demeanour of Assistant Garda Commissioner John O’Driscoll. He reassured viewers that from his vantage point, the investigative angle, that “all the answers are in that house”. He probably knew Alan had committed familicide. One garda standing outside the house wore a luminous lime green jacket. He crossed himself, seemingly in reverence to the new dead. His black trousers matched the jackets of the hearse drivers and the hearses. The nearby foliage was thick and green but it was a dark day in the history of Ireland. Reviewers might take up where O’Driscoll left off and look for answers beyond the house. Some US teams take a day or two to review a case. Others meet regularly for several hours a month over a year. This does not include the preparatory work, interviewing time, and so on. Perhaps it is time for a caring Irish state apparatus to genuflect in the direction of the deceased, of Clodagh, Liam, Niall and Ryan, and far too many others, to try to understand what might have been done differently, and to at least try to put a stop to it all. Support for such democratic practice and civic engagement would not only pay homage to those already gone but would go some considerable way to addressing the plight of many more that wait in the wings. Professor Neil Websdale is director of the Family Violence Institute at North Arizona University and director of the National Domestic Violence Fatality Review Initiative in the US.